Hi friends! How was your weekend? Over the weekend we had Nathan’s work holiday party. Which was so much fun . . . .
You guys, Nathan’s employees are all these young fun . . . kids. I like to refer to them as The Babies. They aren’t legitimately kids but they are all in their early twenties and literally have reminded us that technically we are old enough to be their parents. Jerks. They make up for being jerks by being so fun. The only problem is that they make me think that I am young. Like super young and a person who can stay out late and over indulge in drinks. And then I wake up the next morning and I’m brutally reminded that I’m an old lady. You guys. Sunday morning my body was kind of crying. It’s okay, it was totally worth it. You know what else is worth it? 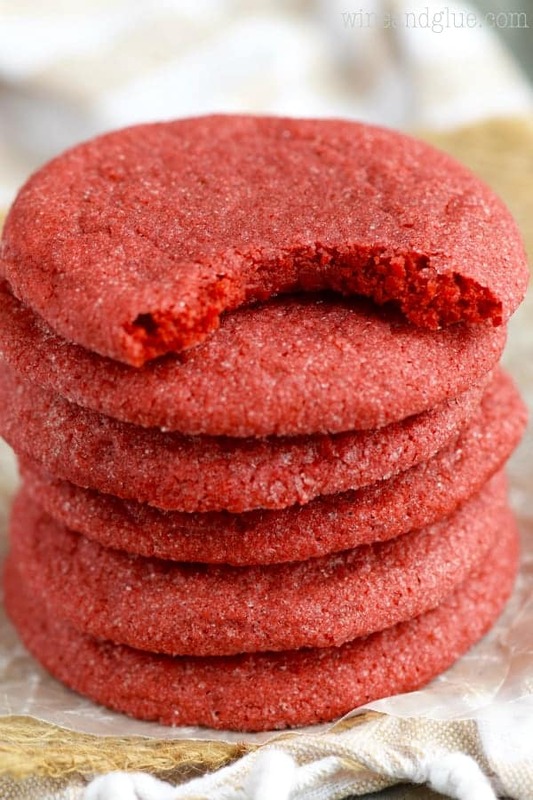 These red velvet cookies! 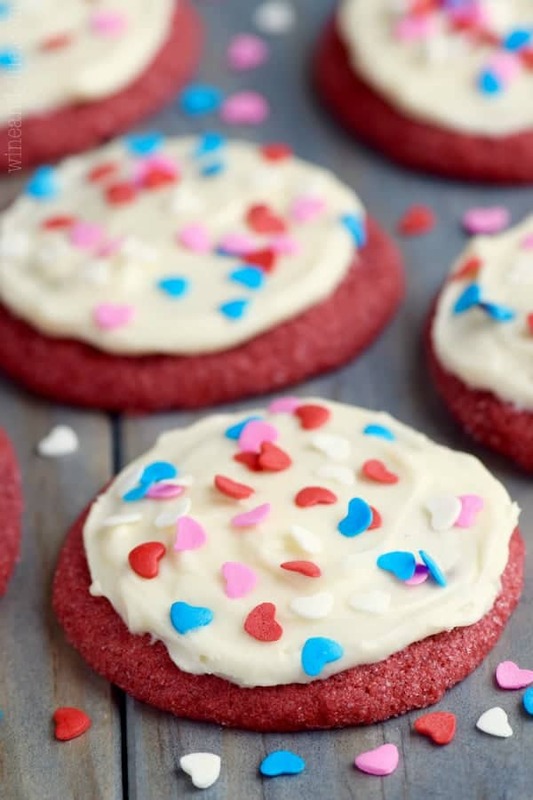 They are based off of this sugar cookie recipe (which if you haven’t made them yet, you totally have to!). But I red velveted them up. 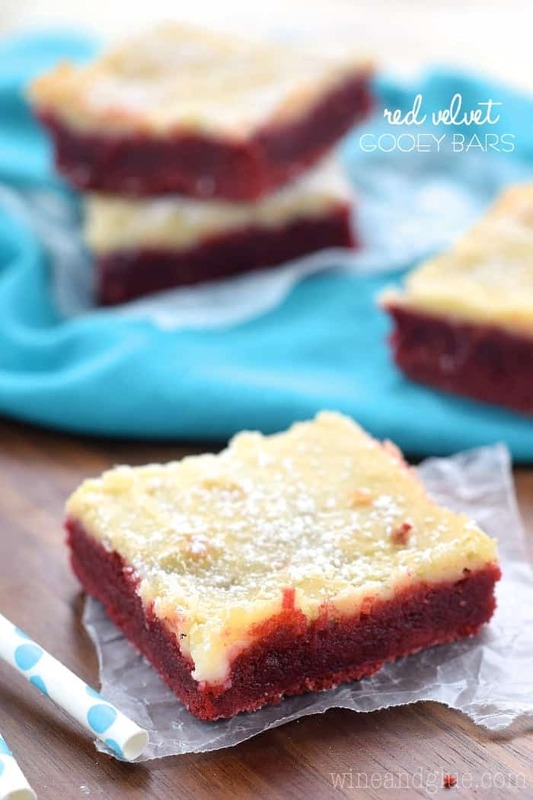 They have that delicious tang and chocolate flavor that makes a red velvet recipe perfect. They are crisp on the outside and they are amazingly buttery on the inside. 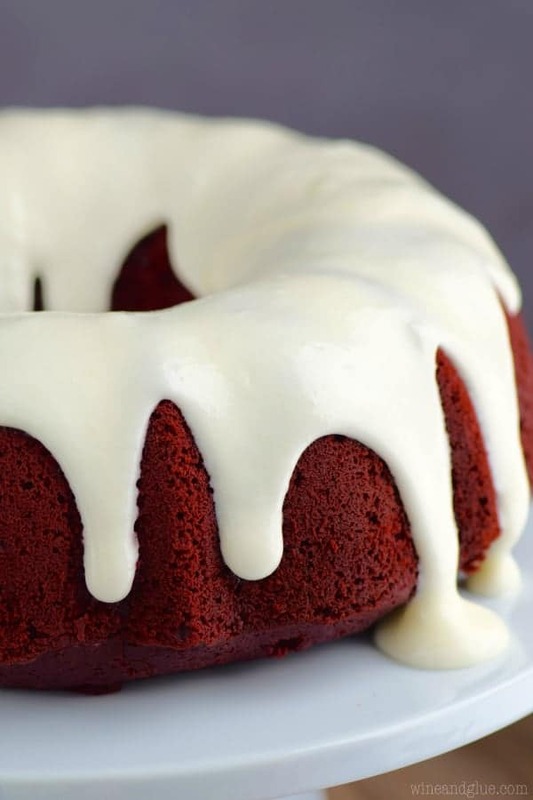 And then you whip up this perfect cream cheese frosting to top them with. Yummy! You are going to love them! Here are my tips for making cookies perfect. It’s easy to follow a recipe, but sometimes it’s helpful to get specific. Your pans can’t be hot. 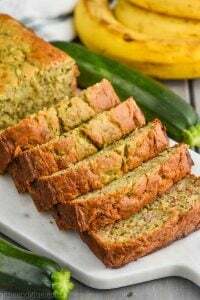 If you are baking in batches and need to use your baking pans more than once, you need to make sure that they have cooled before you put more dough on them. You can make this happen fast by just running them under cold water and drying them off. Speaking of pans, I love these! And I love using these with them (pictured above). I’m constantly reminded that I’m getting older by the mere fact that I teach high school. So it’s a daily sobering thought. And I definitely can’t drink the way I used to, either. It’s so sad! At least I can eat cookies the way I used to, and then some. 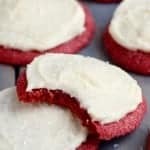 Red velvet sugar cookies for the win! I for sure could not handle teaching high school. You are my hero! I’m 31 and I am quickly reminded that I can’t keep up with the ‘young’ ones in my office. ooph! ha! 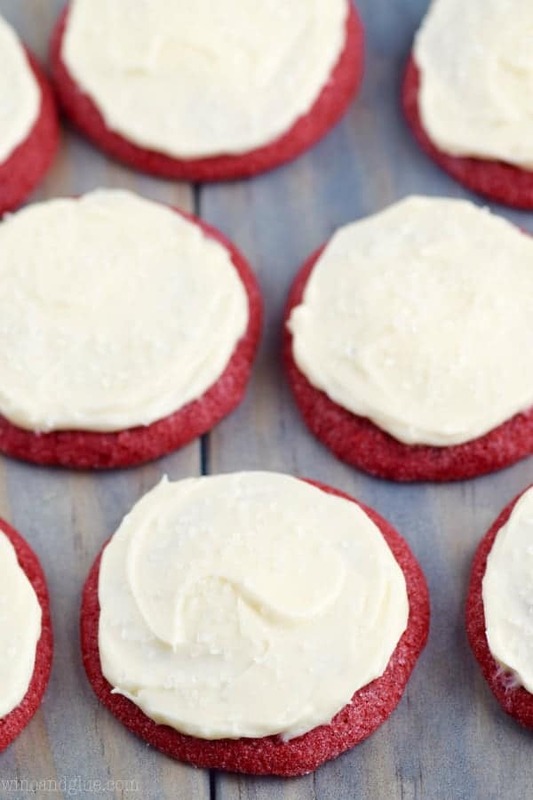 Red velvet is the best! & in cookie form?!? Even better! Can’t wait to try these! overindulging is NO fun when you’re old 🙂 I’m sure a few cookies and a pot of coffee would fix me right up! Ooooooor . . . it’s SUPER fun until it’s not anymore, lol! I am reminded daily that I am not as young as I once was…mostly from my kids. LOL! Love these fun cookies! They look so soft and fudgy! 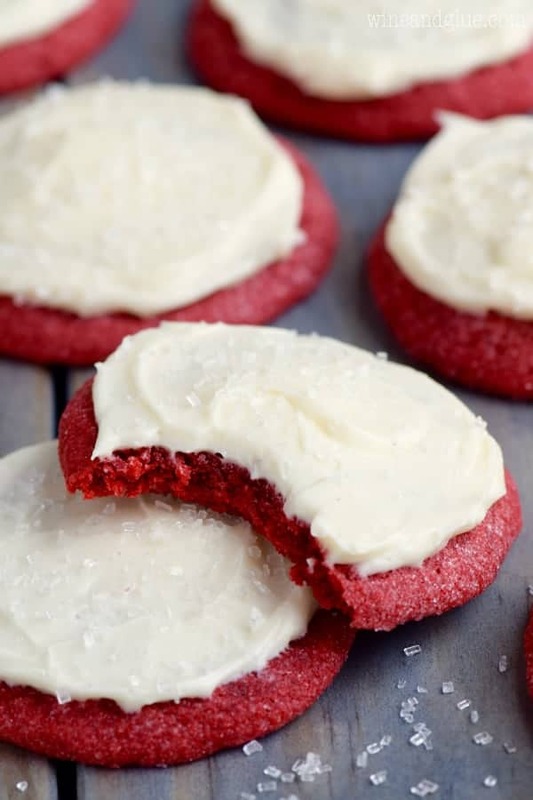 How long do you bake the red velvet cookies for? Shoot Lori! I had no idea the baking time was missing! 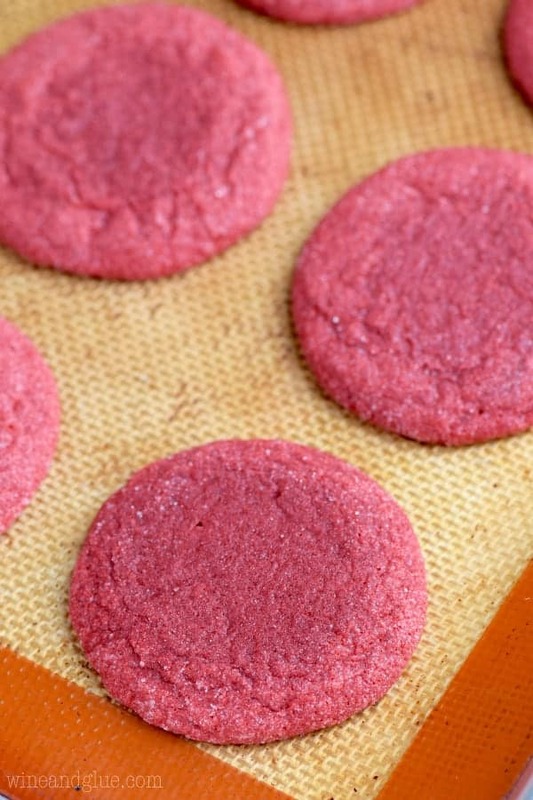 I just added this into the recipe: Bake for 7 to 10 minutes or until the edges of the cookies being to crisp. It probably says somewhere, but I can’t seem to find it. How many cookies with this recipe make? Thanks for stressing the importance of creaming the butter and sugar WELL. I’ve been making a pound cake by the same recipe since 1972~ no comment about age~and a few years ago I got a Kitchen Aid stand mixer. Just because it was so easy I creamed that butter and sugar til it was almost white, five minutes!! 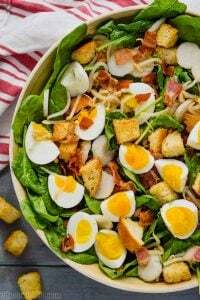 It made a big difference in the texture and the taste, it was always fantastic but those five minutes made it taste richer as if it had an extra stick of butter. Is it safe to assume step 5 is when the dough balls should be rolled in the sugar? Thanks. Yes! Thank you for brining this to my attention. I will update the recipe. How long can you store these cookies in room temperature (without cream cheese frosting)? I would like to make them ahead of time before icing them up. Thank you. Airtight container for a week. How many cookies does this recipe make? 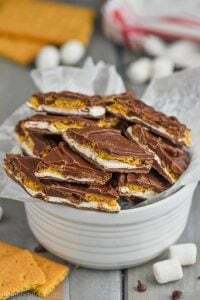 Want to make it for a cookie exchange so need to know if I need to double the recipe or not. Making these cookies now and my dough is more cake-like mixture:( what can I add to fix this mixture???? Eeeek! So my best guess is that your butter was melted and not soft. I’m not sure that I can give you something that you could do to fix it. Because if you add more flour it will affect the taste. It definitely should not be a cake mix consistency. 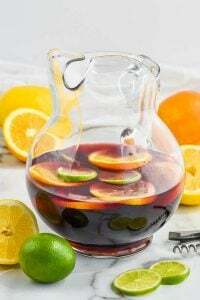 Hi there – thanks for the recipe! 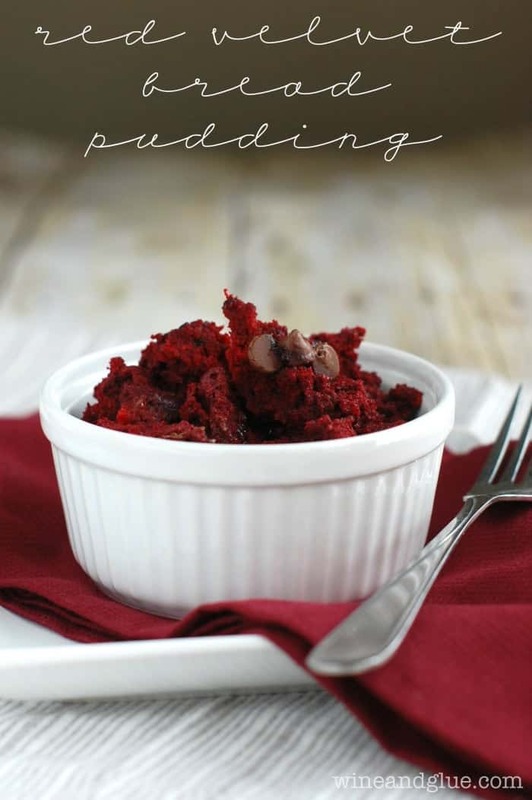 We are big Red Velvet Fans around here – even had it for my wedding cake. (Many years ago!) – I am going to try your cream cheese frosting , but I want to try my frosting too – which is just a light and yummy buttery kind. (We’ve used for years and years, and I did see Pioneer Woman try it and she say she’s never going back! – Not sure how it will do on cookies! I like all frosting!) I just want to check and see if you sifted your dry ingredients before I make a go for it – only because I sift my cake’s dry ingredients. THANKS! Can these be made with a regular hand mixer? I don’t have a kitchen aid stand mixer. They definitely can be made with a hand mixer! Can you premake the batter and store it in the fridge the night before? Also can you freeze this cookie dough? I haven’t tried freezing this cookie dough, but I would think it would freeze well. Hi! This is my second time making these. They taste AMAZING, but they look so flat. Do I need to refrigerate them for a few hours to help with this? They just don’t look pretty. Any thoughts? So my best guess is that you are using baking powder that has gone bad. You can test it by adding it to some water. You should see bubbling immediately. These look yummy! I’m definitely going to make them. Thank you for sharing! I signed up for your email! I’m very excited! I’m so happy to have you Sue! Hello-since these have cream cheese in the frosting how long can they sit out on the counter? Hi Lyn, that’s a personal judgement call. I leave mine out, however, if you are being conservative, you should keep these frosted cookies in the fridge.